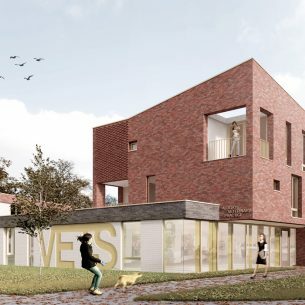 The scheme provides 1170 student bedrooms and EA bedrooms in townhouse and cluster flat format. 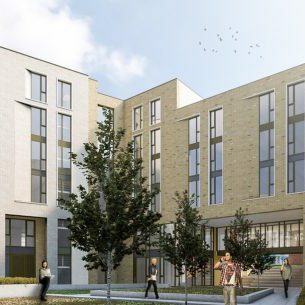 This student residential scheme is part of the wider Birley Fields Campus development, which is centred around a major new academic development to the east of the site. ‘Birley Fields’ is a major urban regeneration scheme located on a ‘brownfield’ site, previously occupied by 1960s housing and subsequently demolished in the 1990s. The site lies to the immediate west of the main ‘All Saints’ University Campus. 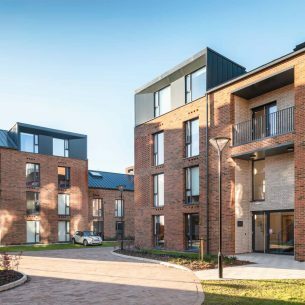 The student residential elements are located at the periphery of the site and provide a transition from the existing mixed residential use surrounding the development to the new academic heart of the campus. The accommodation is organised into five distinct ‘collegiate’ groups in courtyard form and these are used to define the external space and principal pedestrian routes into the campus. Five and six storey cluster flat accommodation is located to the northern edge, the taller buildings defining the principal pedestrian route into the site from the city and ‘All Saints’ Campus. The ground floor accommodates the Facilities Management suite/reception at the entrance alongside additional A3 units fronting onto Stretford Road. 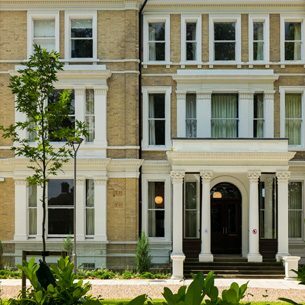 The scheme is designed to achieve BREEAM ‘Outstanding’ assessment rating.